Ambitious plans to transform the education of children and young people with additional support needs in Girvan and South Carrick are now well advanced. 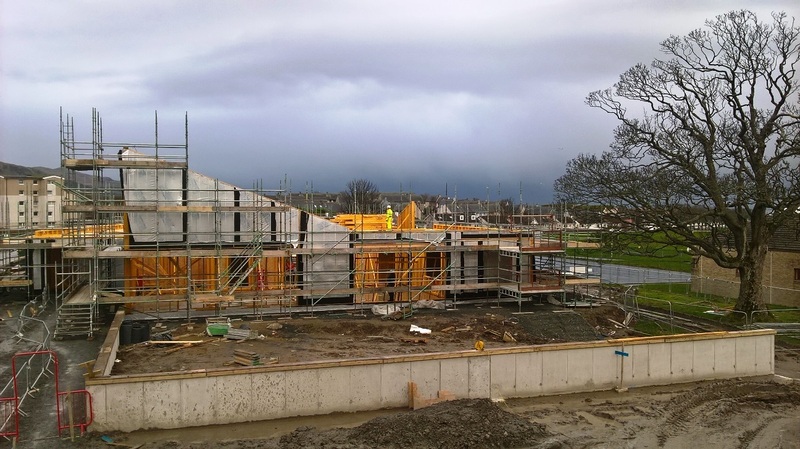 The South Ayrshire Council project to build a new Invergarven School has reached a major milestone, with the timber frame exterior now complete. Built in 1870, Invergarven is a special school for primary and secondary children and young people with complex additional support needs. 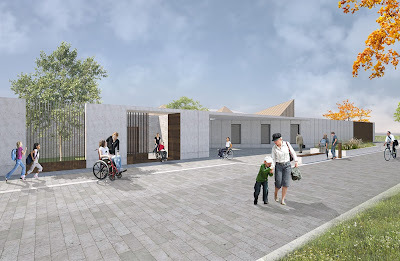 The new £3.7m facility, which will replace the current building on Henrietta Street, is being built by CBC in the grounds of Girvan Academy, delivering spaces for learning and teaching including a sensory room, life skills kitchen, multi-use hall, hydrotherapy pool and external areas that support outdoor learning. The new school will increase capacity by around a third with 20 children and young people able to be taught at any one time (up from 15 at the old school). Councillor Peter Henderson, Portfolio Holder for Resources and Performance said the project had now reached an important stage, “With the timber frame shell now in place, the new school’s reached its first major milestone, with the contractor now concentrating on making the building wind and watertight. “There’s still a lot of work to do before the school opens later this year but children, young people and families are already looking forward to using a modern building that will enjoy close ties with neighbouring Girvan Academy. 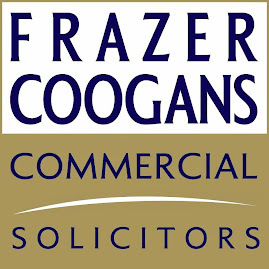 The new Invergarven School is expected to open in August 2018.